This page will be updated with smaller projects that are submitted to game jams or just produced as part of an experiment. The following video is intentionally short to avoid spoilers. A short VR experience created for the Epic Mega Jam 2018. The Theme was "Reality is often inaccurate". The game explores (in a silly way) how reality is easily misinterpreted and subject to your perception. Tested on the Oculus Rift and HTC Vive and probably works on Windows Mixed Reality. A VR title for the Oculus Rift and HTC Vive (only briefly tested on Vive) developed for the 2018 Summer UE4Jam. Your job is to use the VR interface to visualise and control the reactions in the core. 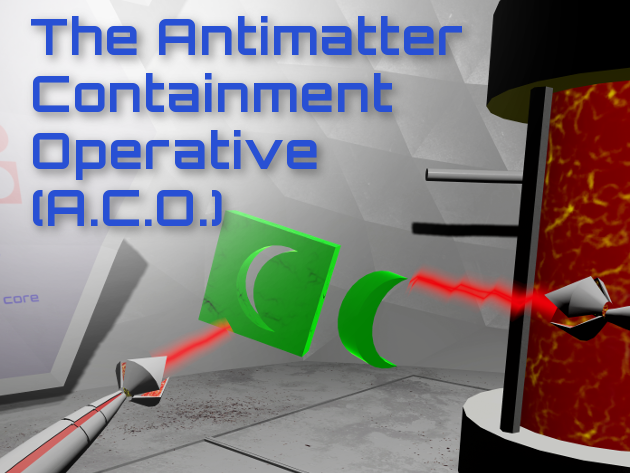 Shapes represent matter and antimatter. Simply place appropriate shapes together to create clean energy reactions. Inappropriate or accidental collisions will destabilise the core. If the core becomes too unstable we will have to eject it into space. Developed during the 2017 Epic MegaJam, Molla Shine experiments with a control mechanisms that gives you smooth and precise control of your flying bug. Thumbsticks are often used to control flying objects. This is not always intuitive. Does pushing a thumbstick forwards make you fly up or does it pitch your nose down and fly downwards. Games often have a setting to allow the user to decide. It makes sense that moving a thumbstick to the right turns right, but it can be confusing if the object is flying towards you. Should it turn to your right or the object's right? My approach was to use your tracked motion controllers to provide precise 6 degree of freedom control. You can choose between right or left handed control. In right-handed mode, an arrow points from your left to your right hand. 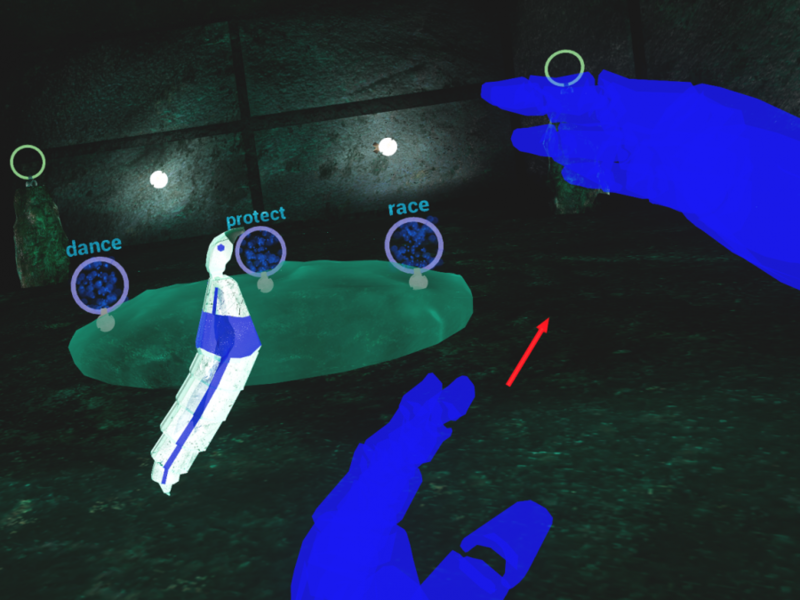 Rather than mentally translating thumbstick positions to rotations you can now just control the object's rotation by positioning your hands. Try it with your hands and imagine the arrow and see how you can intuitively set a rotation in real space. The only drawback is that your arms can get in the way, but with a little practise you learn to make larger movements so you can move around your elbow if required. As you turn your body to look at your bug you are automatically recalibrating your controls. For example, while facing your bug if your right hand is closer to your body that your left, the bug will fly towards you. I think it's an intuitive approach, but try the free download and see what you think.